Already this year the Productivity Commission has released the final report on its review of the superannuation sector, and the final report of the Royal Commission into Misconduct in the Banking, Superannuation and Financial Services was also made public. Both reports shone a light on issues with the superannuation sector, with retail super funds being subjected to more criticism than industry super funds. The industry fund sector appears to have emerged from the scrutiny of reviews in better shape than the retail sector. The Australian Prudential Regulation Authority’s quarterly statistics on superannuation have revealed that the industry fund sector is now about $40 billion larger than the retail fund sector, with the former having grown by 6.7 per cent in calendar 2018 and the latter having shrunk by 3.9 per cent over the same period. A reason for the dominance of industry funds is well illustrated by the following chart from CoreData’s recently-concluded Superannuation Brand Research, which captured the views of nearly 2400 superannuation members across Australia’s 26 largest funds. The chart shows that on average, the industry fund sector trumps its retail nemesis on just about every one of 12 brand perception measures, including investment performance, value for money, trustworthiness and being customer (or member) focused. The Best Practice fund in the chart above is an industry fund. However, although the research has revealed a lot of positives for the industry fund sector, it has also reinforced a key threat. Specifically, it has found that industry funds continue to rely heavily on employers as a source of growth of new members. The vast majority of new members join an industry fund because it is the default option or the mandatory fund at their workplace. While industry funds generally excel at providing competitive investment returns, by definition not all funds can be a top performer. This very fact and the continued heavy reliance on the employer channel pose a clear risks to growth for industry funds, should an outcome of the PC’s “best in show” proposal lead to all but the “best” funds losing their status as default funds, and therefore losing access to employers as a source of new members that they may previously have enjoyed. There are also macro issues to contend with in 2019, with economic and geopolitical concerns domestically and globally being likely to lead to weaker investment returns in the short to medium term. The fallout from the Royal Commission is also likely to result in ongoing intense scrutiny from regulators, politicians, the media and the broader community. Given all these headwinds, it’s time that the great minds in the industry fund sector to focus only on what really matters – fund members’ best interests – instead of point-scoring against the retail fund sector or what may now be seen as industry funds’ new nemesis, the SMSF sector. Fumin is Head of Operations at CoreData with seven years’ experience in financial services and three years in the market research industry. He is primarily responsible for managing a team of analysts and researchers working on a range of syndicated and bespoke research projects for clients in the Australian financial services industry. He is also involved in developing proposals, research design, project management, data analysis and the production of syndicated and bespoke research reports. Before joining CoreData, Fumin worked for four years as a research analyst for Rainmaker Information where he was responsible for research analysis and reporting on superannuation, funds management and financial planning. 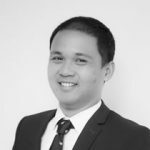 He has a Bachelor of Commerce (majoring in Accounting and Finance) from the University of Sydney, has passed all three levels of the Chartered Financial Analyst Program and is currently studying a Master in Marketing at the University of Technology Sydney. Fumin enjoys cycling, running, football, tennis and cricket, as well as spending time with family and friends.